There are plenty of non-traditional gift registries around these days enabling you to add lots of different items from various stores and online retailers as well as experiences, days out, cash contributions and even charity donations. However if you just want to use your gift list as a way of funding your honeymoon then you have to use Buy Our Honeymoon. Why? Because they do exactly what it says on the tin – help your guests buy your honeymoon! Simple and easy! If you need a bit more convincing, then here are seven reasons why I think you should be using them. You can include everything and anything you might want related to your honeymoon on your list. From flights to hotels, experiences to meals, even taxi rides and cocktails! You can also break things down however you want to really engage your guests in your plans. You can either list items in full (for example, £20 for sushi) or you can add a larger item such as your flights and open it to contributions so your guests can add as much as they’d like to the pot. No, really. I set up my own dummy account to put them to the test. Without reading any guidelines or directions I was quickly able to set my account up, update my profile and start to add items to my fantasy list! There’s nothing worse than downloading an app or signing up to a service to be spammed with adverts at every click! Buy Our Honeymoon has no adverts anywhere and you can design your list however you like. You can choose the layout and design, write your own introductory text, and you even have complete control over how your items are sorted and categorised. The money goes directly to you! Buy Our Honeymoon offer a variety of different payment systems (Stripe, GoCardless and PayPal) so you can set up gift payments in a really flexible way. This is especially great if you’ve got international guests. While each of these systems may take a small percentage (these fees are unavoidable) Buy Our Honeymoon do not. Whatever your guests contribute gets paid to you as soon as it clears. Buy Our Honeymoon don’t hold on to your money until after your wedding or take an extra percentage commission from it (they have a simple one-off joining fee instead). All you need to do is let them know the link to your gift list (here’s the sample one I set up!) and at they just need to click on the item they want to buy or contribute to, and follow the simple instructions. Alternatively, they can suggest something they’d like to buy for you instead or simply contribute some cash. 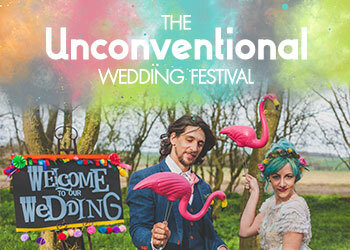 As an aside, if you’d like to change the automatically generated URL to something more personal (such as ourdreamhoneymoon.com/katandgareth) just email them and they can do that for you, no problem! If you get to your honeymoon and decide you want to use the cash for something that you didn’t register for, you can! The money is released into your own bank account to do with as you wish. 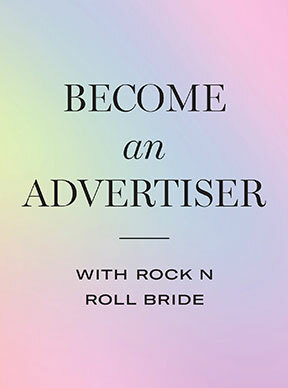 They’re offering 20% off for Rock n Roll Bride readers! 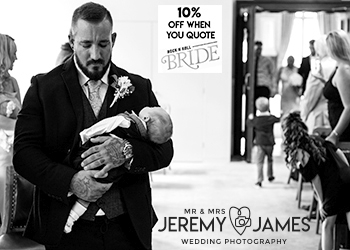 Just enter the promo code RRB17 for a 20% discount on their normal £55 one-off fee. Code is valid until 31/12/2017. You’re welcome! This sounds great! Thank you for sharing!